The way we record music has changed a lot in the last decade, especially thanks to technology. Even the most famous artists in the industry switched to a home recording studio in order to convert their ideas into demos or even complete songs. We consume music differently, we promote music differently and, most importantly, we produce music differently. If you make the right choice, if you pick the right software, if you decide to buy the best hardware that fits your budget, you will be able to record and produce a song at a quality that will put to shame many sound engineers in large studios. I know, the previous sentence may seem like a far-fetched dream but trust me, it is possible. If you want to put into practice your creative music ideas, the most logical solution is to build a home recording studio. It should allow you to create the instrumentals, to record your voice, to mix the song and, ultimately, to master it. 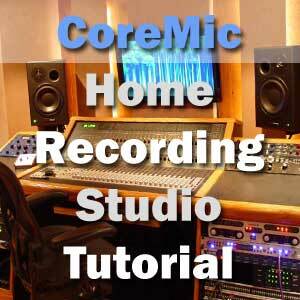 This website contains a series of home studio articles that should guide you through the process. We also try to give you practical ideas on how to get/build certain things on a tight budget. 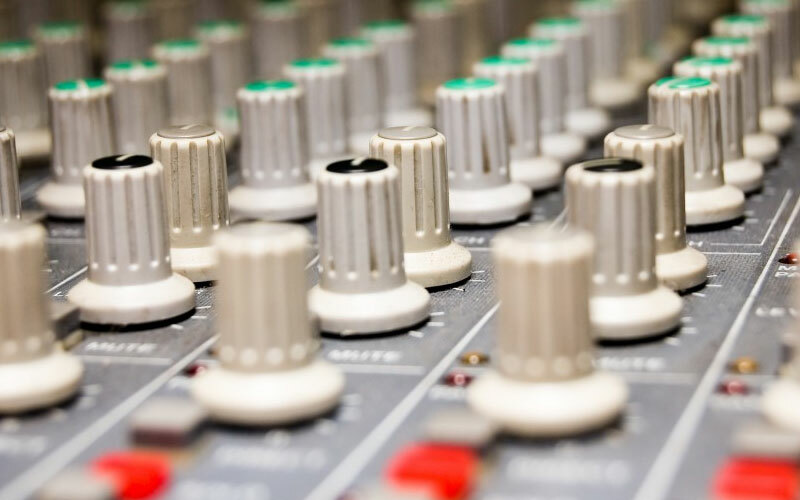 Music recording knowledge can be adjusted on the way by reading more and testing various techniques, but buying the right home studio equipment is a one-time-shot for most. Buying cheap recording hardware is a double edged sword. You may end up paying less in the beginning, but on the long run, it will greatly hurt your music creation process. Right now, you should write the list above on a piece of paper and mark the items you already own. 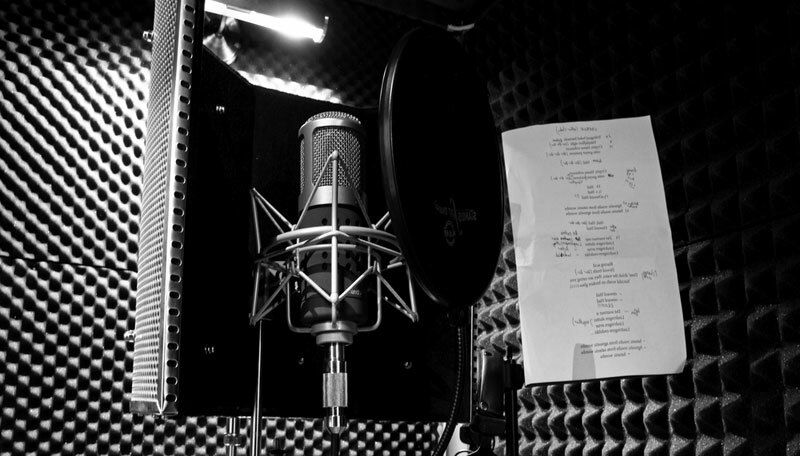 The list contains the most important items you absolutely need in your home recording studio. The order of the items is not random, the highest places contain the most important pieces of equipment in a home recording studio. The first two items are your absolute priorities, since they will have a great impact on the quality of your recordings. So, let’s start with them. 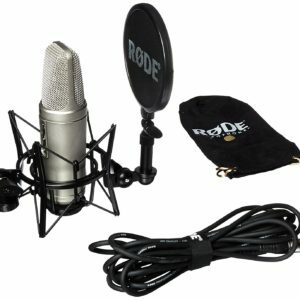 The condenser microphone is the first in the recording chain and you should opt for the best one that fits your budget. 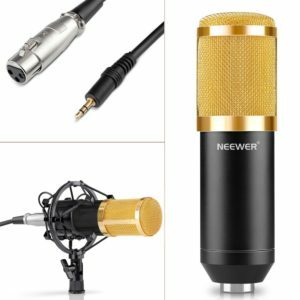 The market is filled with all kinds of home studio mics under $1000, but I truly believe some of them are worth your attention. 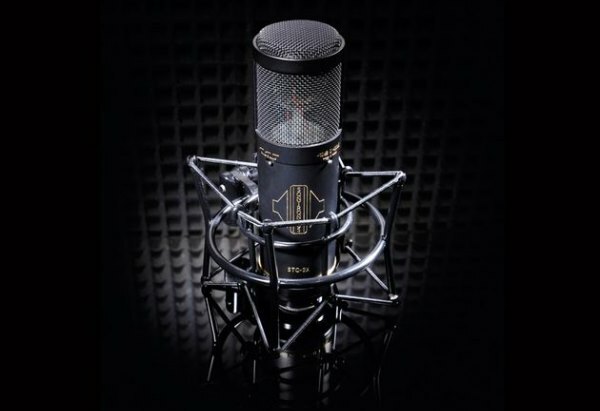 We have already compiled a list with the best condenser microphones you can buy for your home studio. You will find Neumann TLM 102 a great choice in this regard. 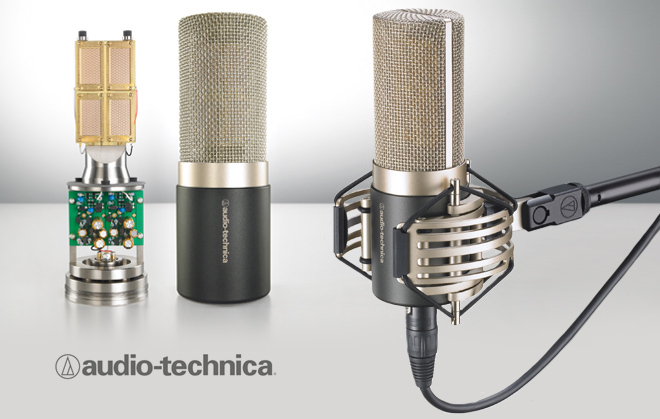 If your budget is under $500, you will just fine with Rode NT1a or Audio-Technica AT2035, a home studio microphone with unparalleled performance that’s used by musicians all over the world. Equally important as the microphone, the audio interface converts the microphone’s analog signal to digital. There is an infinite number of audio interfaces on the market, some with lots of buttons and features. Don’t get lost in the mix. 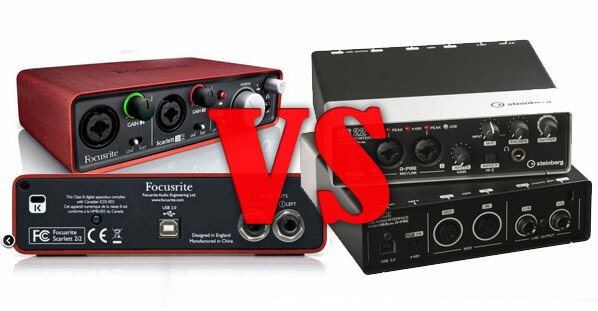 You should choose an audio interface that features great transparent preamps and the lowest self-noise. 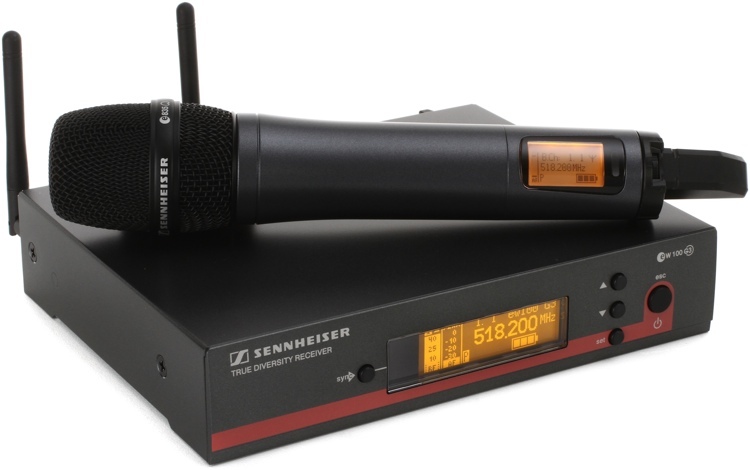 Also, it should feature a 48V Phantom power, a feature that is required by any condenser microphone. In our Steinberg UR22 vs Focusrite Scarlett 2i2 test, both performed really well. 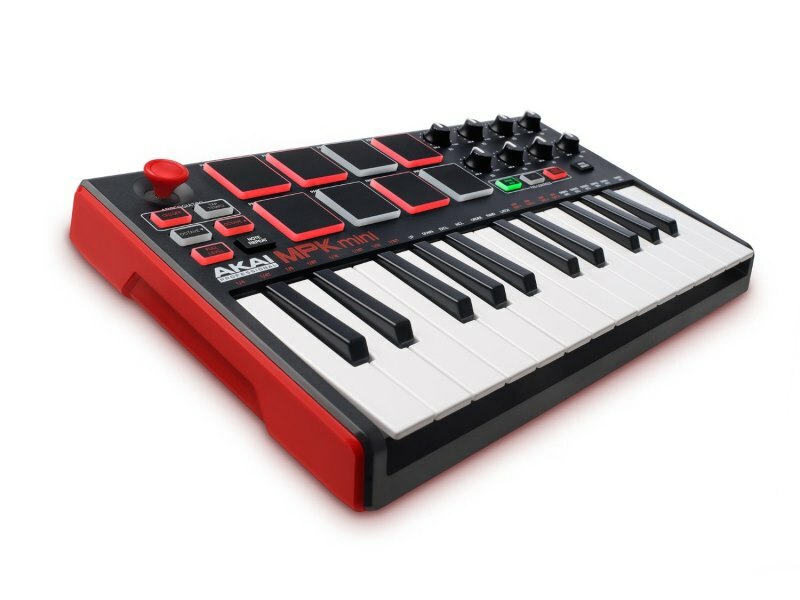 But I do think the Focusrite Scarlett 2i2 has the upper hand. If you already have a PC or a laptop with above-average specs (4 GB of RAM, i5 Processor, USB ports) you can use it in your recordings. Spare the money for other home studio investments. Also, you should make sure that the audio interface you decide to buy is compatible with the operating system that’s installed on your PC/laptop and with the recording software. Most audio interfaces are compatible with Windows OS machines. So, if you run a Linux distribution or OSX, make sure the interface has the proper drivers. In most cases, the magic happens in the recording app. It allows you to record instruments and vocals on multiple tracks, to add effects to each track, to mix and even to master the whole song. 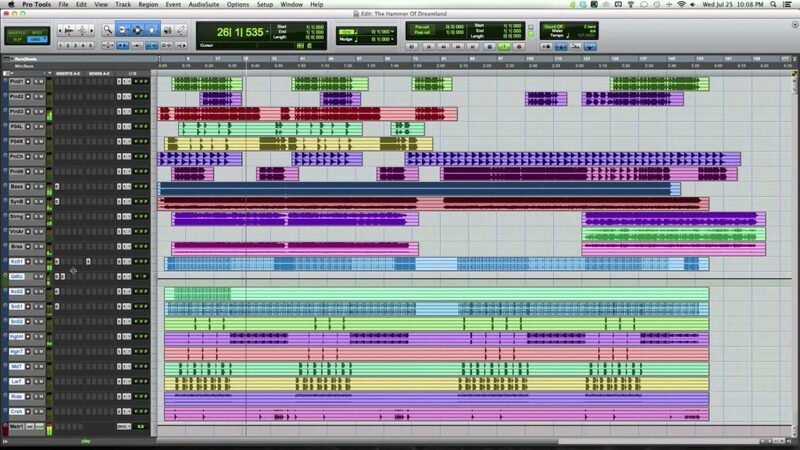 There are multiple free recording software that you can find, but I strongly advice you to choose from Cubase, Pro Tools and Apple Logic Pro X (for OSX). It would be difficult to connect all these these gear without cables, right? Well, you are lucky because most of the items that I have recommended here come with cables. Even so, if you decide on a home studio microphone that features no XLR cable in the package, you will have to buy one separately. Make sure it has the necessary length and the proper connections. LyxPro LCS Premium Balanced XLR Cable is a good choice in this regard. 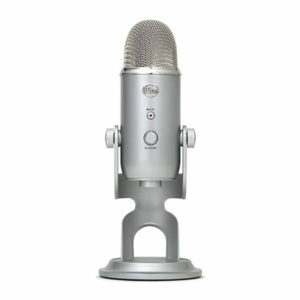 The microphone stand allows you to place the home studio mic in the desired place, at the desired angle, so you will be comfortable while recording. There are few types of mic stands to choose from: tripod, tripod boom, desktop, round base, low profile, overhead. 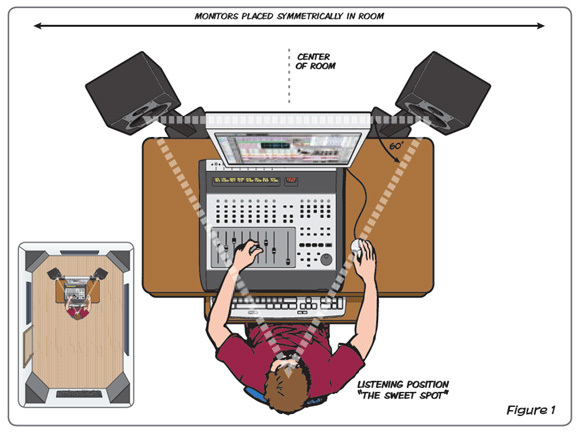 Depending on your configuration, you should choose one that is perfect for your recording position and/or your height. The pop filter is really important when you record vocals, since it removes unwanted sounds (plosives and breathing noises). 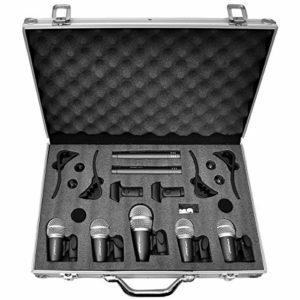 Many microphones feature this item in the box. If you need to buy a new one, make sure it can be mounted on your mic stand. If you have watched at least one video with people recording in a studio, you have probably noticed that they were using headphones while recording. The reason for that is that it allows the instrumental to be heard only by the artist’s ears, without it interfering with the microphone. 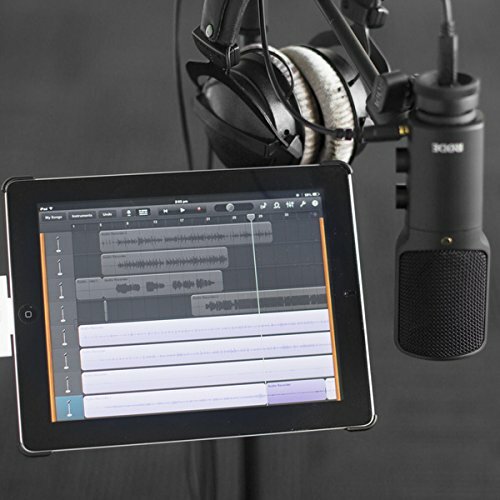 When you record, you want the microphone to capture just your voice, without other sounds. 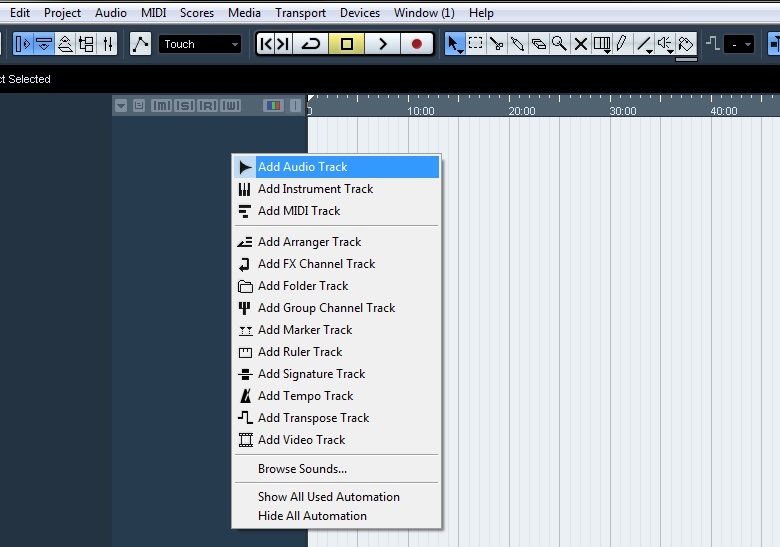 This way, you can easily add various vocals effects later in the mix. 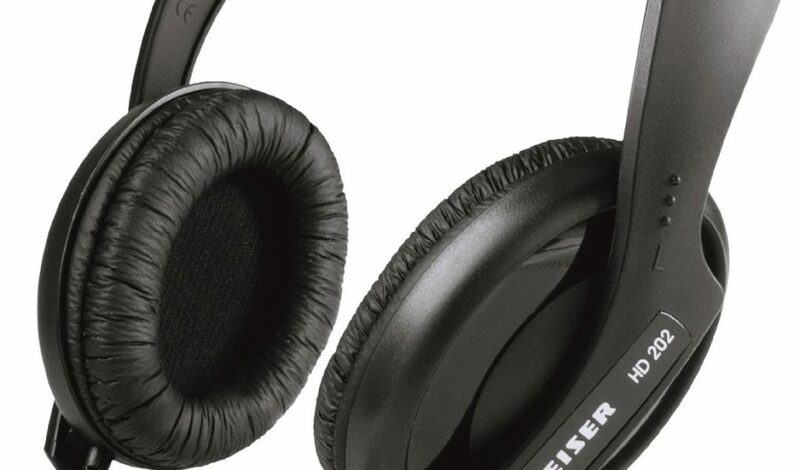 For your setup, it is recommended to buy a pair of closed headphones like Sennheiser-HD-202-II-Studio-Headphones. In all the years I have been setting studios and recommending home studio setups, I learned one thing. The mixer is optional, depending on the type of music you make. Let me tell you why. If you decide to record rap music and you buy your instrumentals from the Internet, you don’t really need a mixer. 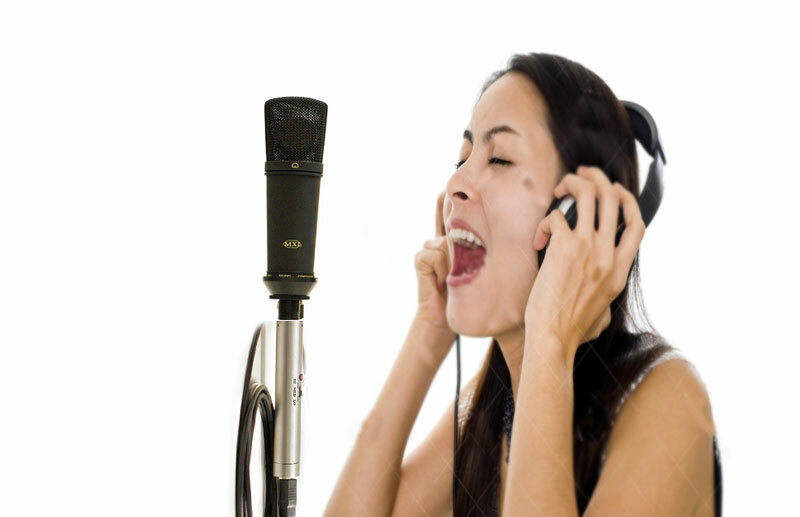 You will be recording just your vocals, so there is no need to mix multiple channels. All the effects will be added later, in the mixing session. If you plan to record rock music with live instruments (guitars, drums), you should definitely get a mixer to patch everything into one place. Again, buying the right one depends on the number of instruments you plan to record, how many channels you need and the quality of the mixer. Mackie 1202VLZ4 12-Channel Compact Mixer is a good starting point when it comes to mixers. The speakers are important in the mixing process. Of course, you can mix your songs on the headphones, but in my experience the best results come if you mix with a pair of studio monitors. 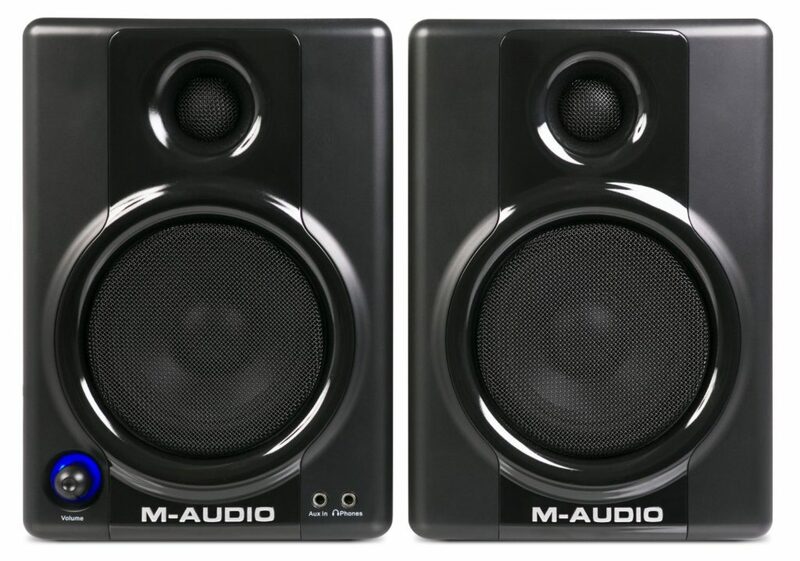 The market is packed with home studio speakers, so buying one for a home studio is a matter of money, really. We really love KRK RP5G3-NA Rokit 5 Generation 3 Powered Studio Monitors. Most recording apps come with a set of predefined VSTs (Virtual Studio Technology). But most of them are average and, with time, you will learn that you need better ones. We love all the VST bundles offered by Wave, especially Wave Diamond Pack. 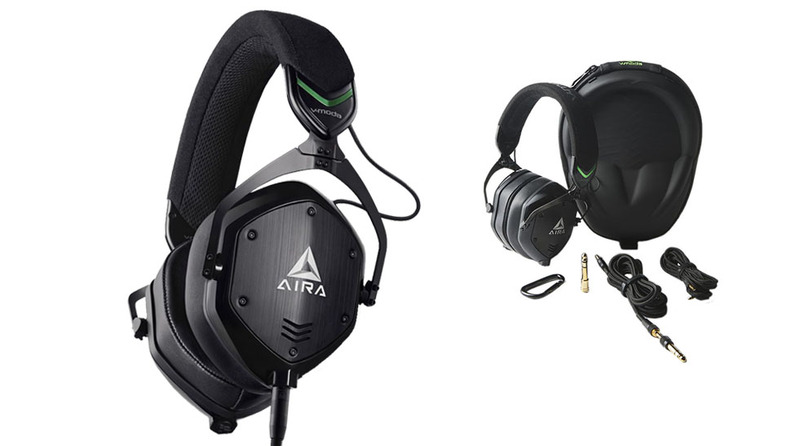 Last but certainly not least, you should invest in audio foam. Everything about this topic is based on sound reflection, absorption and diffusion. Reflection occurs when the sound meets a certain solid surface and is sent back into the chamber with similar frequency and direction without significantly losing its energy. In a room that doesn’t benefit from an acoustic foam treatment, the microphone will capture, beside your voice, echos and reflections. In order to avoid this situation, you should treat the room with an absorbing material that causes the sound to lose energy. There are multiple acoustic foam panels to choose from. We like these ones. Getting back to that list from the beginning of the article. Before starting to add anything in your cart, make sure you have written down the type of equipment you need. It is important to have at least the microphone, the audio interface and the laptop. Make a list of priorities, see which equipment you afford to buy in the first phase. Also, you should estimate the overall price of your recording setup. Make sure it stays within your budget. As I said, expensive equipment does not guarantee better sound if you do not know how to operate it. The Internet is packed with all kinds of tutorials and video reviews for most products. Before using that credit card, you should spent at least a few hours to learn more about the items you plan to buy. See what other users are saying about the items in your list and ask yourself these questions. Is my setup complete? Does the items I have chosen work well together? Are they compatible with each other? Can I operate the recording software that’s on the list? Can I find tutorials on how to install and connect them? Does my audio interface has 48+ Power? Do I need a mixer? What’s the maximum amount I can spend on the acoustic foam? You should have an answer for all these questions before making the first actual purchase. That is why I consider the list to be necessary. If you take your time to plan thoroughly, you should be just fine. 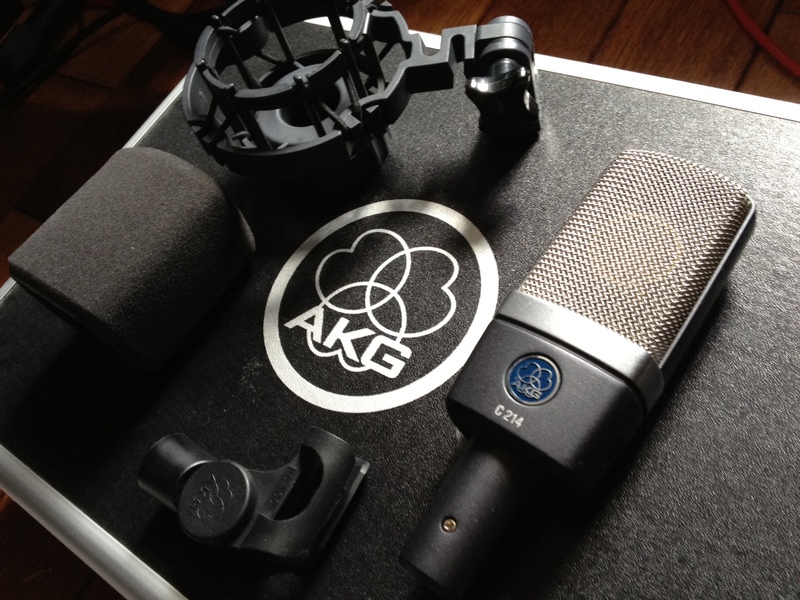 Remember, the goal is not to have the absolute best recording gear that money can buy. The goal is to make the best recordings while still maintaining the budget. If you’re a beginner, I hope that this article gives you an idea on ​​how to tackle the task of purchasing and building a home studio. If you already own a studio, it may help you decide if you’re missing something in your recording/mixing chain, or helping you upgrade to a better setup. I can’t give you all the answers, but if you read all the articles on this website I am sure you will find all the information you are looking for. 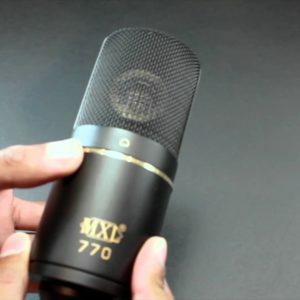 We have written articles on the best microphones, the best audio interfaces, monitors, keyboards and mixers along with arguments on why you should have them in your setup. Technology has evolved greatly in the past decades, there is a large variation on the market and many recording items are really affordable. What was just a dream 20 years ago, it’s a dream come true now. With a budget of $1000 you can end up being the next Youtube sensation. The bad news is that you can easily lose yourself in all these options that you have at your disposal. Each item in the home recording studio has one million variants. There is no best method, or a magic combination of choosing the tools you need. But there are several items we think you should definitely consider. For example, many of the external sound cards with 4 inputs have the same quality like a 1-input interface but the price is 4 times higher. If you plan to record only vocals, you don’t really need the extra 3 inputs, right? 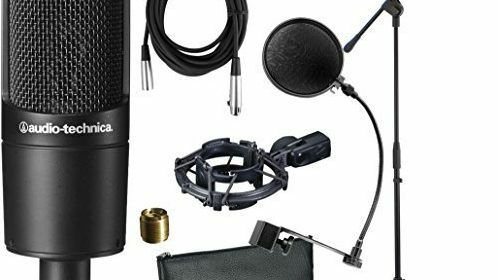 Also, some microphones that we recommend are sold in an all-in-one package, along with a mic stand, shock mount, pop filter and cable. You can cut the cost greatly by scouting the market for such deals. An article that provides insight on home recording studio equipment in general and the best way to build a home recording on a low budget.